The middle of July is when summer sales are starting to end and it becomes hard to find things that you want. But if you can find something then chances are it's hugely reduced. Sometimes up to 80% off. These are my go to online stores to shop end of the season sales and some of my favorite items still available. 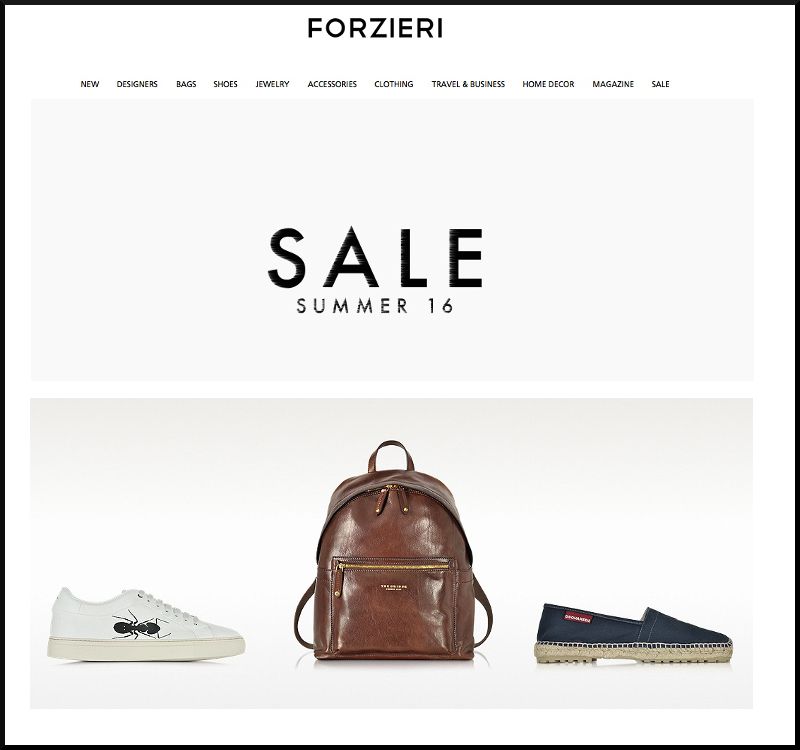 Forzieri is one of the better online stores when it comes to accessory shopping. They specialize in shoes and bags so if that’s what your looking for then have a look. Expect discounts between 30 and 50% off and free shipping on orders over $150. Use the code A1B352 to get 20% off your next purchase of $350 or more. 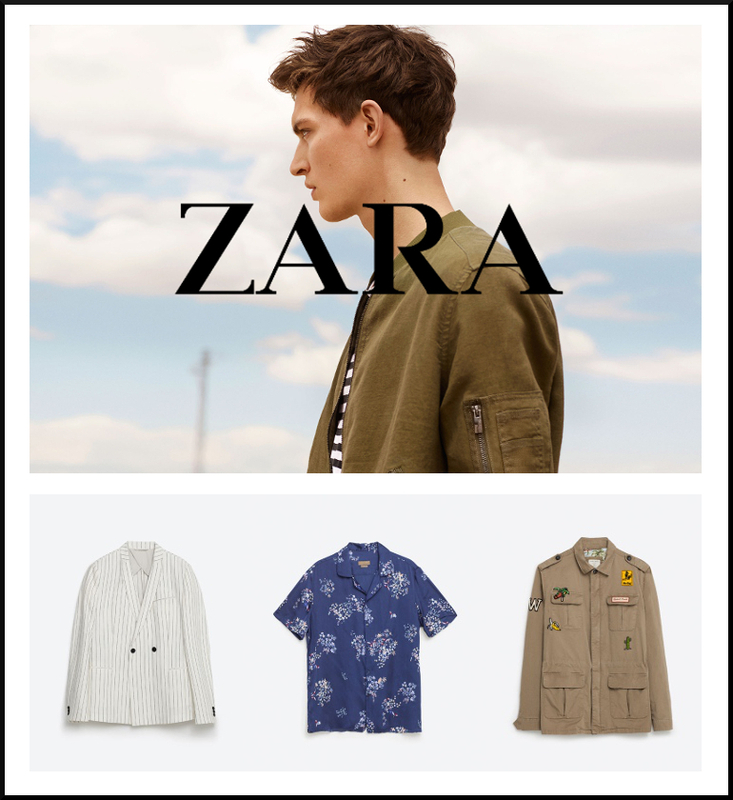 Everyone knows Zara. They're famous for making fashion forward pieces at affordable prices. With their sale you can get pieces at a steal. I’m talking shoes starting at $19.99 and blazers as low as 49.99. Check back next week as there final sale will kick in with even better discounts. 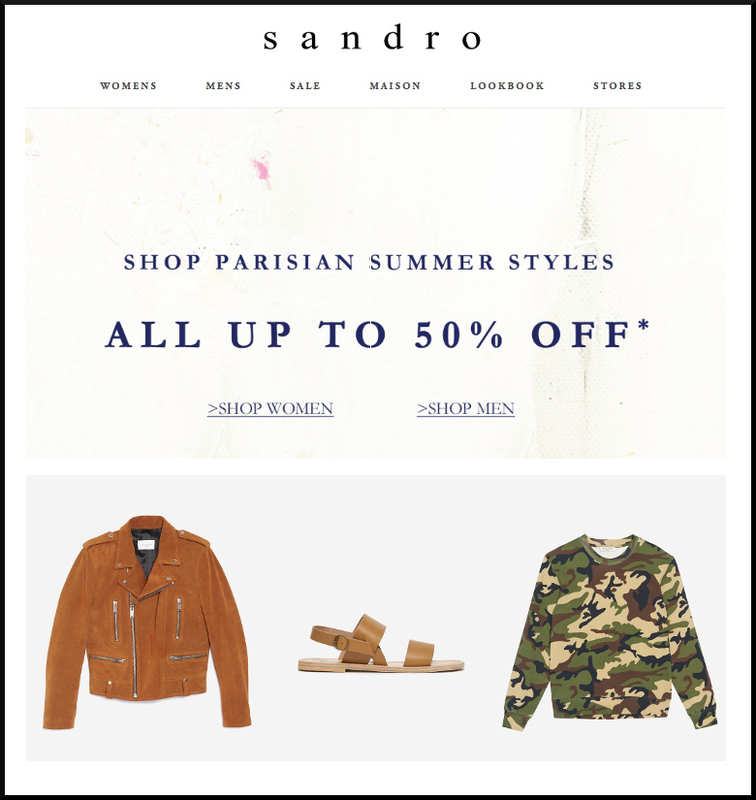 Sandro is great for stocking up on basics but they also have some really cool pieces such as this camo sweater that can be picked up on sale now and worn into the winter. They’ve got everything from suits and ties to more casual swim shorts and bombers. Shop many of the remaining items at 50% off with free shipping. 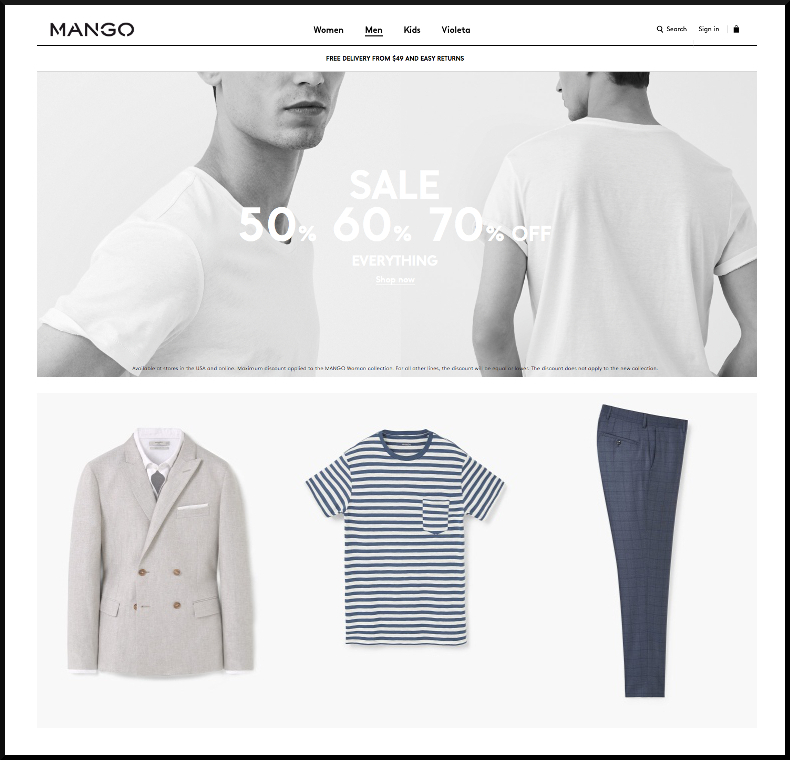 Mango is a brand I go to when I’m looking for reasonably priced suiting in colors other than grey and navy. With free shipping on orders over $49 and many sale items reduced to as much as 70% off it’s definitely worth checking out. 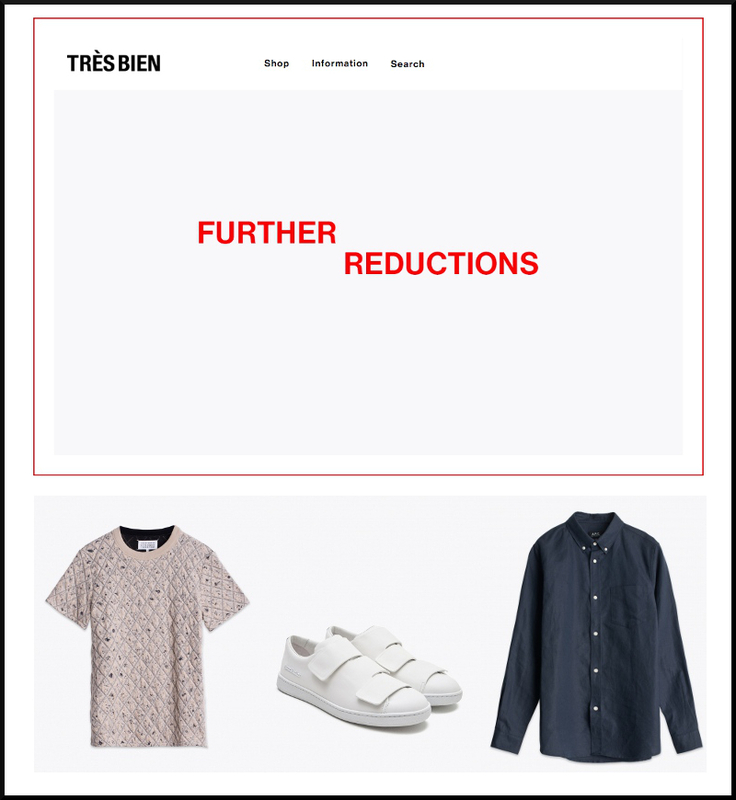 Très Bien is new to me because I don’t often look to purchase street style pieces but they do have some brands that I love. Maison Margiela and J.W. Anderson are among a few plus you can find some really cool footwear all with high discounts.